I’m a big believer in people playing to their strengths, and this includes product team members and others involved in innovation. Not everyone has the same strengths – if we did, that would be a bit boring. 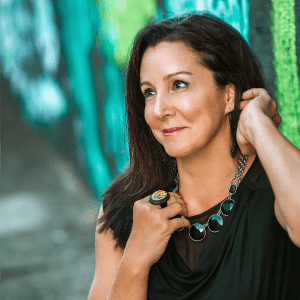 Realizing how people approach innovation and their strengths is something Tamara Kleinberg accomplishes. Tamara has spent more years than she’ll admit brimming with ideas and launching and running entrepreneurial businesses. She is known for her ability to innovate from ideation to implementation and has brought to market products for very large brands. For the past 18 years she has advised companies such as Disney, Procter & Gamble, General Mills and Otterbox on fostering innovative ideas and people. She has run multi-million dollar businesses and launched a few of her own, including Launch Street, which provides resources for entrepreneurs and intrapreneurs. Also, you will learn the two most important things to say after you present a new idea. What is the backstory on your Innovation Quotient Edge? The Innovation Quotient Edge (IQE) is the culmination of 20+ years of work and experience. I started my career in brand strategy and innovation in New York City in a big firm and in advertising on Madison Avenue. Then I branched off, with most of my work being in new product development for Fortune 500 consumer goods companies—Procter and Gamble, General Mills, Clorox, etc. Time and again I would hand innovative ideas to these brilliant people in these great companies. Yet a lot of them wouldn’t make it to market. Their ability to be innovative and drive change they needed to get the results was suffering. So I stepped back and thought about what was occurring. I always believed that if we did one or two things, we’d all be innovative. But in my work and research, what I actually discovered blew my assumptions out the door, about how innovation works. What I discovered is that we’re all innovative, but how we innovate is unique to each of us. 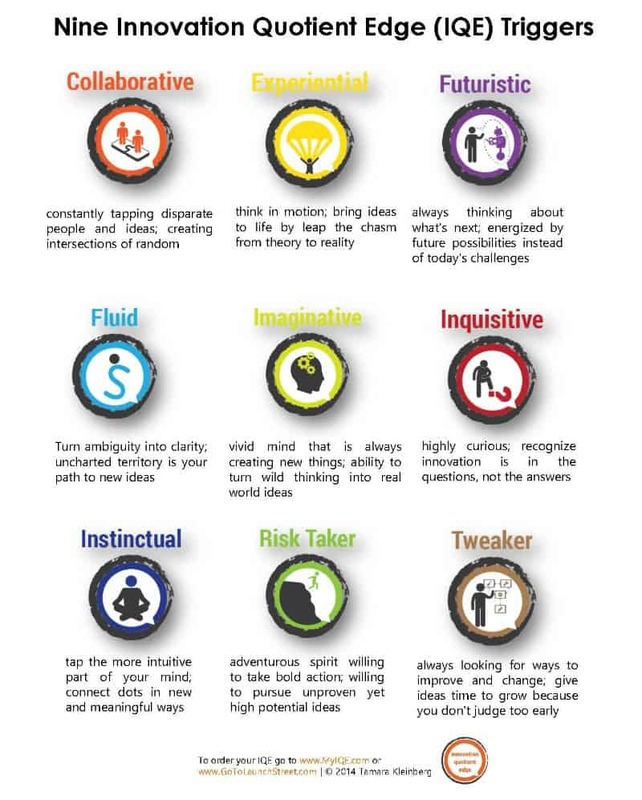 In fact, there are nine human triggers of innovation and the combination of your top two triggers make your unique innovator profile. What are the nine traits? The image below provides a good summary of the nine traits. Listen to the interview to hear details about each. Special resources from Tamara just for listeners, diving deeper into the Language of Innovation.